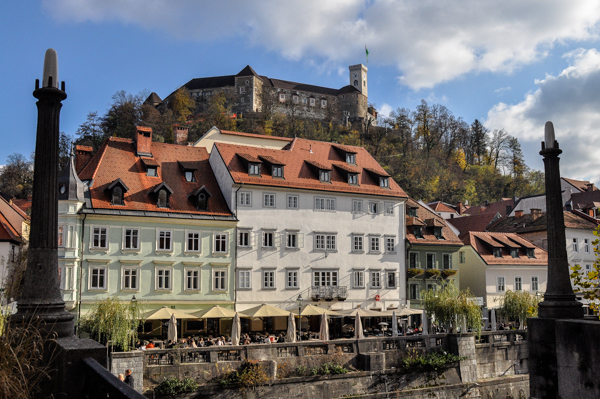 The hotels listed below are all located out of the city center or hotels near Ljubljana. 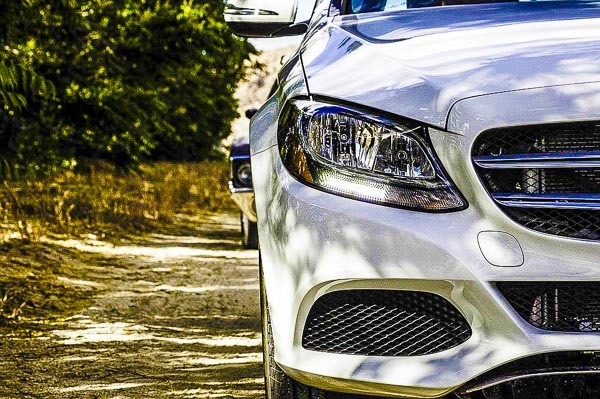 Most are based by the city ring road, which makes it easy and quick to access the Ljubljana Airport or to head for a day trip to any part of the country. 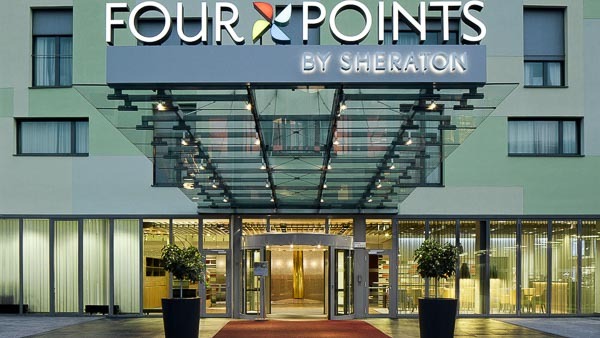 If you are travelling by car these hotels are a very convenient choice as they all offer spacious parking surfaces. They also offer business infrastructure and are thus appropriate for both leisure or business guests. 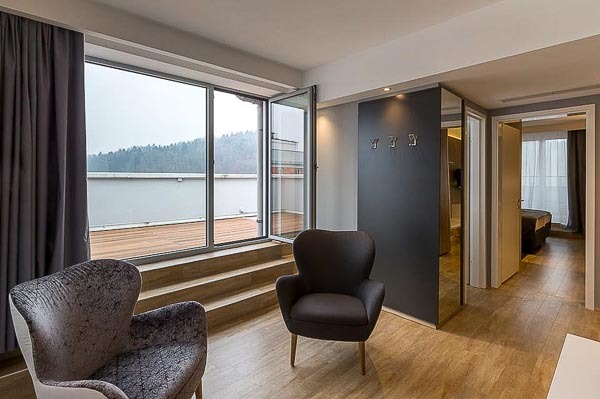 This modern four-star hotel is situated on Ljubljana’s western road ring, thus convenient for travel to the Ljubljana Airport and also for day trips around the country. The city centre is 5 km away. With more than 1000 m² of functional surfaces, it is one of the most convention and conference applicable hotels in Ljubljana and Slovenia. It offers everything that business or leisure guest needs for quality staying – comfort, design and functionality. With lush woodland surroundings and picturesque hillside setting quality of sleep is guaranteed. The hotel has received the Creditworthiness Certificate for reliable, credible and low-risk business. 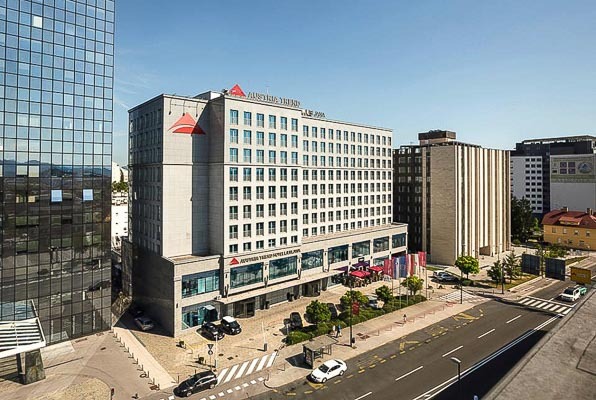 This modern and trendy 4-star hotel is based in the BTC City, biggest shopping district in Slovenia and is the right choice for those who enjoy spending and bargain hunting or for business guests. It is conveniently located by the Northern city road ring and thus useful for travelling to the airport. The city centre is 5 km away. Rooms on highest stories of the hotel offer beautiful far-reaching views. Plaza Hotel has been awarded by TripAdvisor travellers as the best hotel in Ljubljana and 4th best in Slovenia. The business hotel Austria Trend is considered one of the most technologically advanced hotels in the world, providing 214 fully-furnished rooms and a complete range of highly functional conference facilities. This hyper-modern venue with an adjacent casino is located by the Northern ring-road and is easily accessible from the international Joze Pucnik Airport (LJU). This hotel has it all. It offers all of the benefits you could hope for from a modern, top-class hotel. The Nox Hotel is a new and modern boutique 4-star hotel, based right beside the highway exit closest to the Ljubljana Joze Pucnik Airport and 6,5 km to the city centre. It has 24 uniquely designed rooms laid out by various Slovenian designers. Every room is authentic, with its own appearance and name. There is also the Nox Interier furniture salon, which offers guests a matchless experience of hotel accommodation. Relax in the inviting atmosphere of the Nox Lounge, which offers finest wine selection of the renowned Slovenian winemakers. The capacious adaptable room can accommodate about 50 persons and can be instantly revamped into a meeting room or any other event setting. 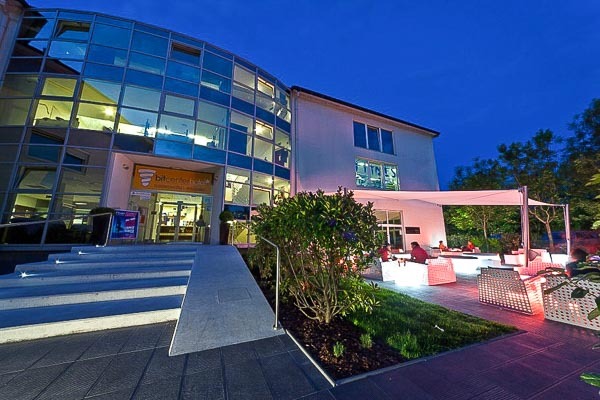 M Hotel is a bigger, affordable, modern hotel situated in a quiet area of the Siska neighbourhood about 3 km North of the city center and by the road to Ljubljana Airport. Tivoli Park is just a step away, bus stops for city buses too. 154 rooms are elegant and air-conditioned. The hotel offers conference rooms for up to 300 participants. This charming boutique and the family-run hotel is located in the green and quiet part of the city about 4 km South of the old city part. It offers large, bright, modern rooms with complimentary parking place, breakfast and Wi-Fi internet access. The hotel is one of top rated by TripAdvisor community and has received many other awards. 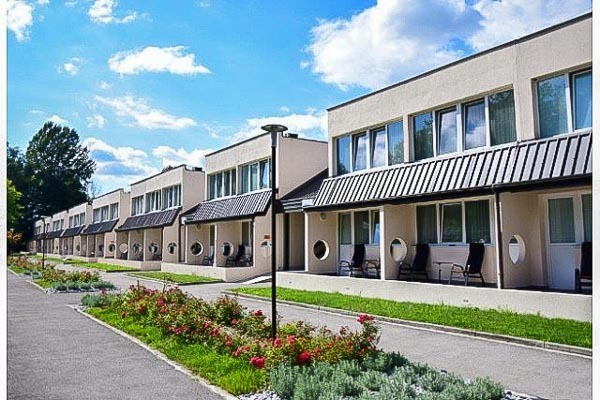 As it is located by the Ljubljana road ring it can be a convenient choice if you search for Ljubljana airport hotel. 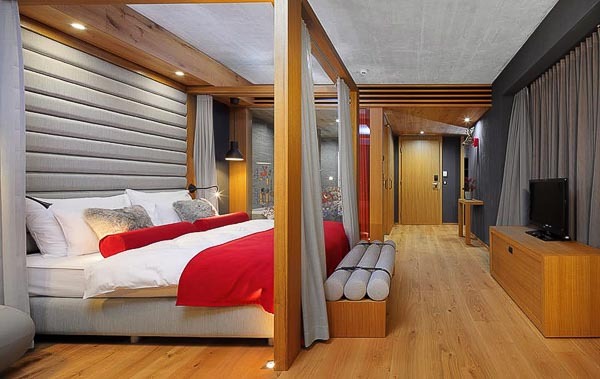 Ambient hotel is an elegant thematic family-run hotel with individually designed rooms located on the green outskirts of Ljubljana (13 km away), connected with nature from outside and inside. It offers guaranteed free parking for cars and buses in front of the hotel, free wireless internet connection is available too. 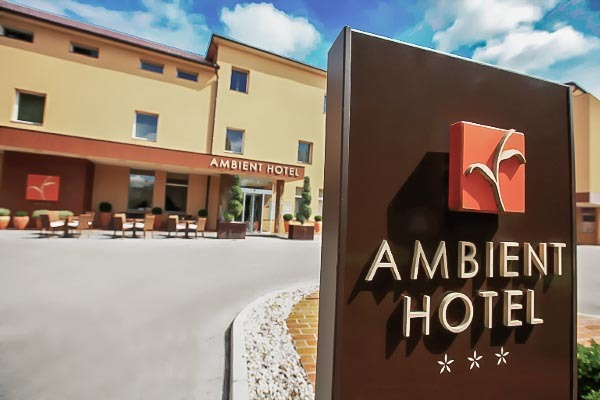 Guests of Ambient Hotel can order a free return transfer from Ljubljana Joze Pucnik Airport, which is 18 km away. 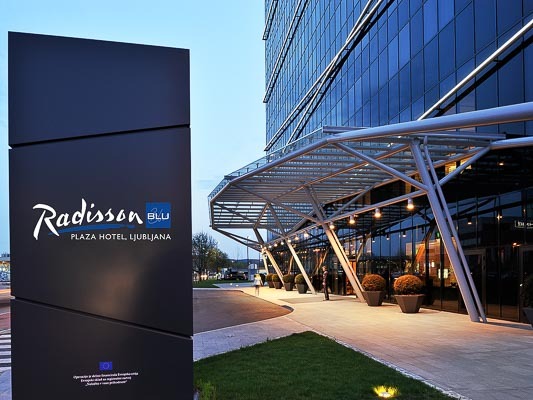 The hotel has recently received an award for the best hotel outside Ljubljana. Resort Hotel is situated in a pleasant natural setting at the edge of the city 5 km from the old town. 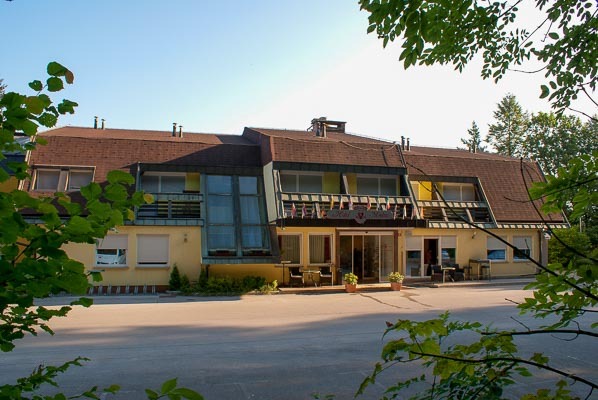 The Ljubljana Resort offers a budget hotel with an adjacent camping area and mobile homes. There are all kinds of activities available directly in the area, including a complex of swimming pools, beach volleyball, beach football and play areas for children. An extensive parking space is available and pets are allowed. The hotel is open from March until October. 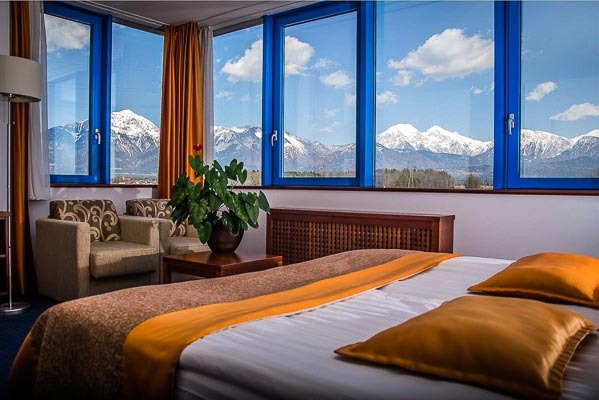 Hotel Azul is a newly built hotel located in the suburbs of the city of Kranj. 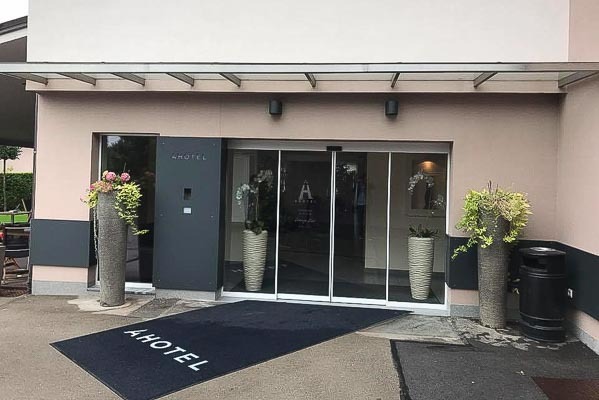 It is probably the closest hotel to the Ljubljana Airport and convenient for those who need to wait for a flight or for those, who like to be settled in between the Alps and Ljubljana. There are 25 modern and air-conditioned rooms available in this Ljubljana airport hotel, for disabled persons as well. Hotel Azul offers a modern and fully equipped conference centre with 7 meeting rooms. The biggest one can host up to 130 participants. The city of Kranj is 3 km away, Ljubljana Airport 7 km, Ski Resort Krvavec 10 km, Ljubljana 25 km and Lake Bled 30 km. Access to the internet is unlimited, parking is available. Hotel Medno is a place where city meets countryside. It is located 10 kilometers from the centre of Ljubljana in direction of the Joze Pucnik Airport, which is about 15 km away. Hotel Medno has 60 beds at affordable prices on offer. Rooms start at 29 € per person. They are of different categories, so everyone can find a suitable one for himself. Pets are welcome, parking guaranteed. Bit is a budget hotel in Ljubljana, located on the city outskirts by the Southern road ring but still only 3 km from the city centre. This is a cheap hotel hence the rooms are very simply equipped. Each room does, however, have its own bathroom. Self-service breakfast is available upon request. Double room comes with 47 €. Hotel Bit has an extensive private parking area and offers a wide range of indoor sports activities. This hotel is ideal for travellers who would like to stay in a comfortable and clean accommodation at reasonable prices.